Continuing with my last post: the adventurer is near the end and is at the entrance to the threshold back to the everyday world. The philosophers discussed in my book – Aristotle, Epicurus, and the Stoics, all mention that individuals will progress from valuing food and warmth, to social relationships with others, to valuing the moral virtues of wisdom, courage, moderation, and justice, before reaching happiness. The positive psychologists teach of a similar progression of food and warmth to social relationships to self-esteem and finally self-actualization or simply, happiness. Both the philosophers (especially Aristotle) and the psychologists (especially Maslow) teach that the deep-seated human motivation – the purpose in life, is to seek happiness. The myths, as explained by Campbell, also address the human desire to achieve happiness through the adventures to secure the boons for the benefit of society. 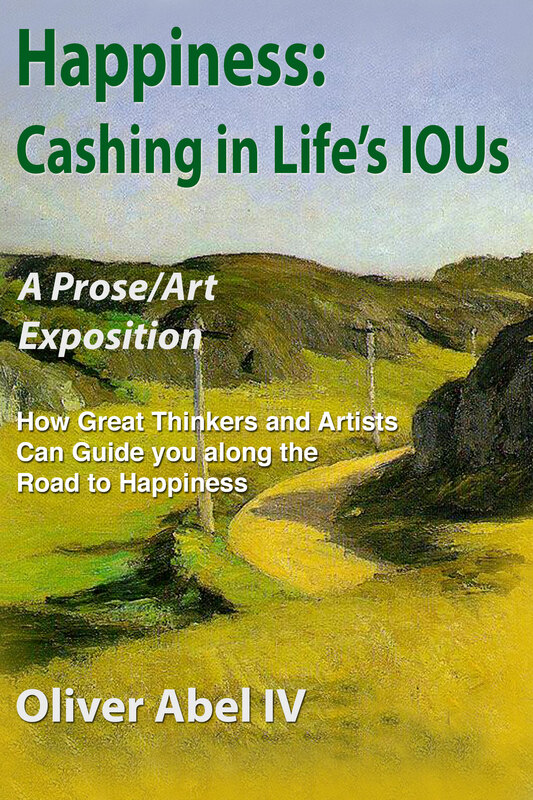 The works of art presented in my book also illustrate the desire to achieve happiness and, in most cases, they depict the means of achieving this happiness. The traits of successful entrepreneurs reinforce the teachings of the philosophers, psychologists, the myths, and the artists as the vehicle for traveling the road of life in search of happiness. But there is one final link missing. This one remaining condition is what pulls the adventurer across the threshold back to the everyday world in which the boon contributes to the flourishing of society and happiness is rewarded to the adventurer. This entry was posted in Uncategorized and tagged Abraham Maslow, Aristotle, Campbell, Entrepreneurship, Epicurus, fulfillment, happiness, Philosophy, Self-esteem, Stoicism, Virtue on October 19, 2013 by oliver. In my last post, I promised to discuss ballet pieces that help to represent the call to adventure. I want to discuss something different now only because there appears to be a lot of interest in exploring the world of virtue. The philosophers go to great pains to define the virtues that are needed in life. There are dozens of virtues extolled by many different philosophers. However, I would like to focus on just four: wisdom (also called prudence), courage (also called fortitude), moderation (also called temperance), and justice (which has many definitions one of which is a concern for the proper welfare of the community). These four virtues are called the “cardinal virtues” and are basic to leading a virtuous life, encompassing all the other virtues. So, why focus on the four virtues? Because they provide the means for a virtuous life. So, why be concerned with leading a virtuous life? SImply, and as presented by the great artists as well as the great myths, a virtuous life is needed to reach happiness. And, happiness is what the philosophers (especially Aristotle and St. Aquinas) tell us we all seek in life, and what the positive psychologists tell us we are all motivated to attain in our lives. If we reach the level of proper self-esteem, based on years of involvement with others and exposure to the many risks of life, we will need the first two of the virtues to accept the call to adventure, if sent: wisdom and courage. These two virtues are acquired during our experiences with others and our taking of risks to enhance our self-esteem. In fact, many of the ancient philosophers tell us that wisdom is the most important of the four virtues. I can’t agree more: without wisdom there is no adventure, and without an adventure, there is no possibility for happiness. This entry was posted in Uncategorized and tagged fufillment, happiness, Philosophy, Self-esteem, Virtue on October 12, 2013 by oliver. Harnessing the entrepreneur within us is the vehicle for achieving self-esteem. In fact, it is also the vehicle for reaching a sense of belongingness with others. Once self-esteem is reached, the journey section of the road to happiness is over. The very small number of people who have reached this level (less than 15% of the US) have received proper education/training, social skills, and self-esteem. Harnessing the entrepreneur, to grasp the first three traits of successful entrepreneurs as indicated by the academic research, is the vehicle for reaching the end of the journey. Reaching the end of the journey requires embracing risks, risks in one’s job, club, hobby, or volunteer position, and even in one’s family. Most likely, those at the end of the journey have strong connections within their community, recognition, confidence, appreciation, prestige, and financial comfort. Essentially, those that have reached the end of the journey now have all the necessary skills and experiences for the next segment of the road: the adventure. This entry was posted in Uncategorized and tagged entrepreneur, fulfillment, happiness, Self-esteem on September 28, 2013 by oliver. There has been a lot of academic research over the past few years addressing the traits or characteristics of successful entrepreneurs. The emphasis is on successful entrepreneurs versus unsuccessful entrepreneurs and non-entrepreneurs. Most of the research focuses on five traits, and there are an additional three characteristics that are endemic to new venture creation. To reach the satisfaction of the self-esteem need requires the first three traits presented in the research: 1) education/trade, 2) social skills, and 3) high self-esteem. The first trait is obtained from a caring family and functional society. The second trait is found through involvement with others. This involvement, the first risk assumed by individuals, is encountered through one’s job, school, hobbies, sports organizations, and civic, cultural, and religious organizations. It also includes interaction with loved ones. The third trait involves exposure. 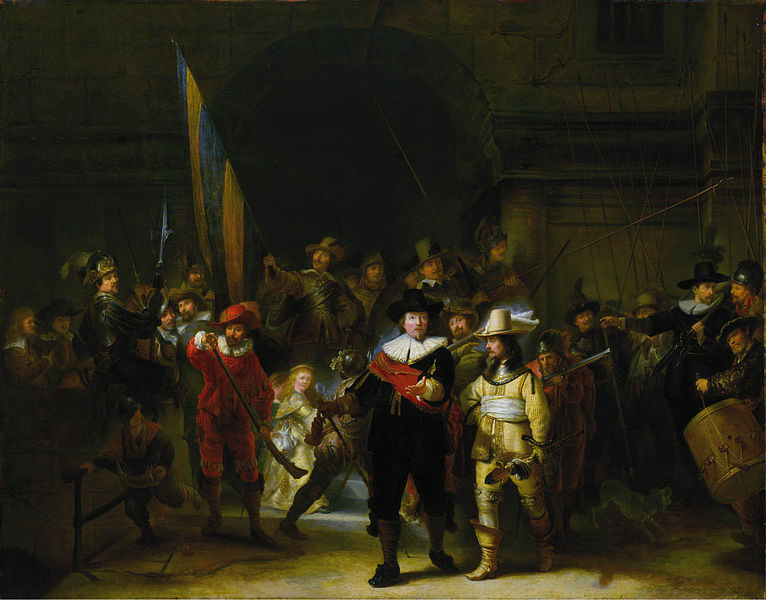 This exposure, depicted in the artwork of the previous posts, involves risks to one’s reputation and financial position. This can be found in the same organizations as the involvement activities above. The key is that to develop proper self-esteem requires assuming risks. Many people are uncomfortable assuming such risks and go through life without the self-esteem need satisfied. This is unfortunate because happiness is never achieved. In particular, the risks that are encountered are ones that not only lead to high self-esteem but also prepare the individual for an adventure well beyond the journey that has taken place to date. You don’t need to be an entrepreneur to achieve happiness, but you need to think like an entrepreneur and understand the benefit of risk-taking. As such, to get to the level where you have high self-esteem (with recognition, prestige, confidence, and strength), which is a very healthy position to reach, you need to be well-educated or trained in a skill, have good social skills, and have taken controlled risks in separating yourself from others. To go further along the road to happiness will require other traits of successful entrepreneurs that I will talk about in the near future. But, it is important to reach this lofty position of high self-esteem, harnessing the entrepreneur that is inside you, before continuing the along the road. This entry was posted in Uncategorized and tagged entrepreneur, entrepreneurial traits, fulfillment, Self-esteem on September 26, 2013 by oliver. To go along with the previous post, here are a few musical and dance works representing the satisfaction of the self-esteem need. These are further support that, with the previous post’s other works of art, help to validate the journey to achieve self-esteem, which both Maslow and Csikszentmihalyi state are necessary to reach happiness. This is the last and perhaps greatest of all the operas of a composer regarded as one of the great figures of Italian opera. This famous aria for tenor is sung as a hope and then final victory of the character Calaf in winning the hand of Princess Turandot. It takes place in a garden at night. Calaf has won a contest to marry the princess, but she does not want to marry him. He agrees that if she can learn his name by morning then she can have him killed; otherwise, she must marry him. He is confident that his name will not be revealed and that once morning arrives the princess will consent to be his wife. This is one of the most moving and powerful arias ever written for tenor. It is another example of successful satisfaction of the self-esteem need, with defeat at the hands of death averted and the love of a woman won. This is the first of his three famous ballets. Prince Siegfried has fallen in love with Princess Odette, who, along with her companions, is under a magical spell in which she is transformed into a swan during the day and is allowed to take human form only at night. Siegfried promises to help vanquish the evil spell, but Odette does not trust him. Siegfried goes about trying to win her trust and at the end of the scene Odette has fallen in love with him. Risk and exposure fill the scene; the pair dance a difficult pas de deux in clear sight of the other ballerina swans, and the exposed solo violin heard above the orchestra adds to the apprehension and anxiety of Prince Siegfried’s challenge to win the heart of Princess Odette. In this scene we witness the self-esteem need being satisfied by a confident Prince Siegfried meeting the challenging demands of the moment and winning the heart of Princess Odette. Next post: how does harnessing the entrepreneur within us help to complete this very critical human need. This entry was posted in Uncategorized and tagged happiness, Puccini, Self-esteem, Tchaikovsky on September 24, 2013 by oliver. Three posts ago, I talked about artworks that show characters which have separated themselves from others by being members of a group dedicated to a certain task. They had not yet been exposed to actual gains and losses of reputation or finances. This is the first part of building self-esteem; developing strength, confidence and independence from others. Once this first part is completed by being accepted into prestigious clubs, schools, civic, cultural, and religious organizations, job positions, tournaments, etc., then success at these positions will give rise to recognition, prestige, importance, and appreciation. This second part, involving risks to one’s reputation and financial position, will complete the satisfaction of the self-esteem need. The individual is now at Maslow’s and Csikszentmihalyi’s second to last level of human development. It has taken a long time to get to this level and, according to a 1998 Gallop poll, less than 15% of the American population ever reaches this level. Below are selected artworks from my book that present the achievement of this second to last level of human development. Pay particular attention to the painting by Bellows. This great work of art is a prime example of the self-esteem need being satisfied. 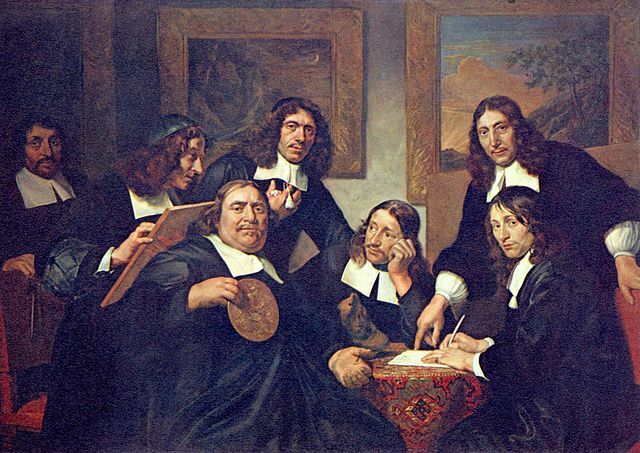 The singer’s friends and family, situated behind her, are prominent singers and musicians themselves. 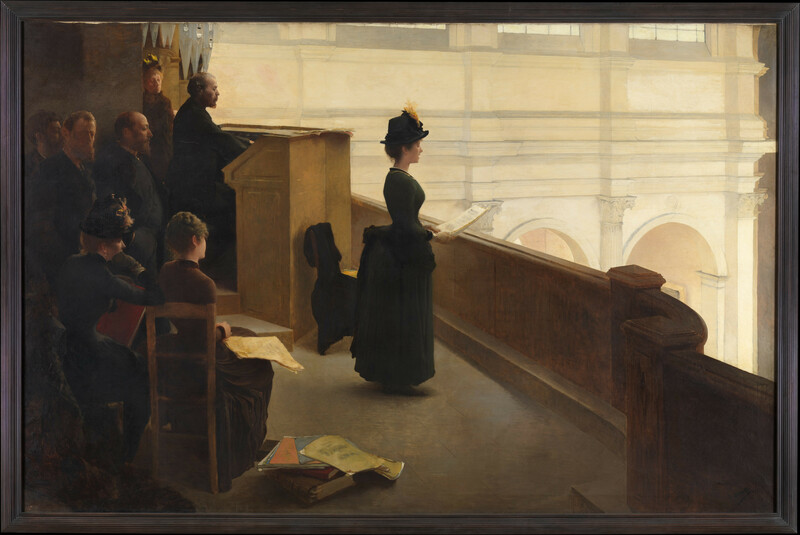 Even though only a rehearsal, the singer is exposed to the risk of failure before her family and friends should she not sing beautifully, on time, and on key. The scene in the darkened balcony overlooking a great open and well-lit space is thick with apprehension. Even the onlookers on the left seem concerned with her performance. 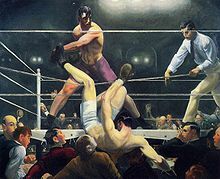 This work presents an historic fight; the first time that a Latin American fighter (Firpo in purple trunks) would challenge another boxer (Dempsey) for the World Heavyweight title. The fighters in the ring bring front and center the culmination of the self-esteem need with the ultimate success of the fight leading to high self-esteem. The fighters, exhibiting strength and confidence, are much larger in scale than the spectators. The flash bulbs in the background have the appearance of a group of spirits awaiting the outcome of the match in order to approach the winner (this is significant imagery foreshadowing the next level of human development). In this famous poem, the poet has personified death. He argues with death stating that death is a slave of man and can be overcome in the afterlife. He states that with the death of one’s body, the spiritual life is awakened and man is victorious. This is a metaphysical fight and one that the poet believes, through logic and faith, he has won. Another example of the self-esteem needs being satisfied through success of an “exposure” activity. The poet proclaims that no one will be able to torture her and that she is too strong inside. She cannot be killed, for her spirit, the second body, will live on. She will be as free as the eagle. She mentions that while she is being held captive to the torture, she is about to be granted liberty. While those torturing her will win the day (and her “mortal Bone,”) she will win her liberty and freedom (the “bolder One”). This is a powerful representation of the ultimate independence and freedom gained by one fully prepared for the “exposure” activity. This entry was posted in Uncategorized and tagged bellows, Dickinson, donne, fulfillment, happiness, painting, Poetry, Self-esteem on September 19, 2013 by oliver.